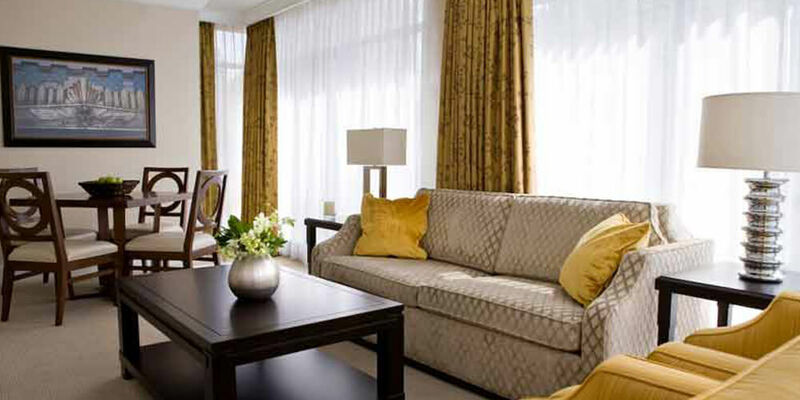 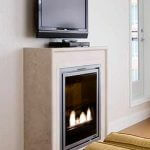 These elegantly appointed One Bedroom Boutique Suites, up to 640 sq. 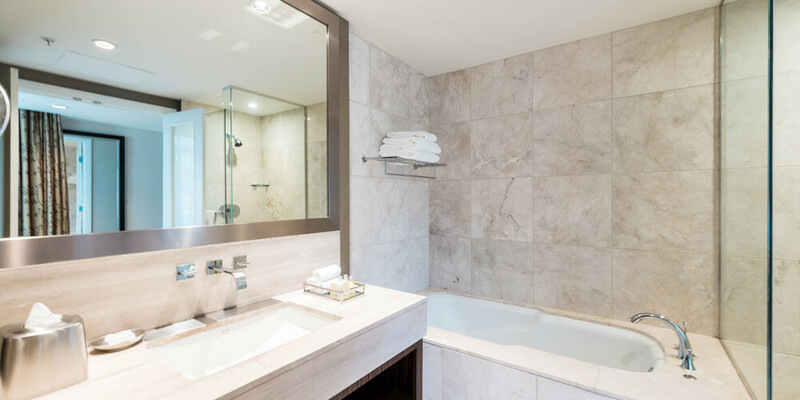 feet, feature one bedroom with a king sized bed, separate living room with fold-out double sized sofa bed and a blissful 4-piece marble bathroom. 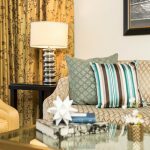 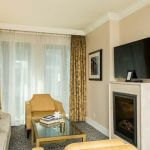 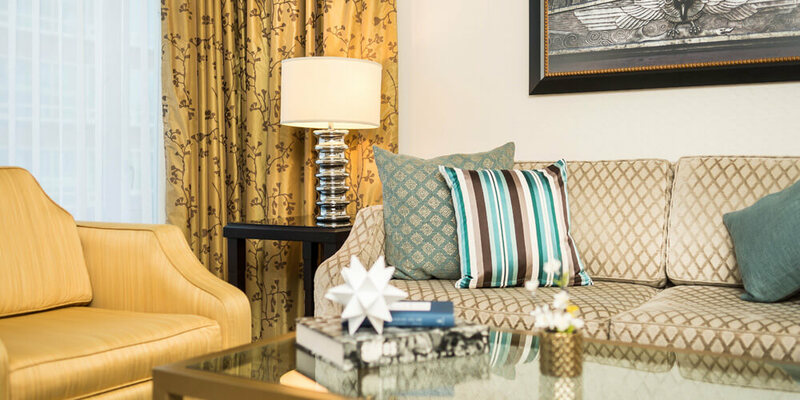 The one Bedroom Boutique Suite showcases the very best of Vancouver’s lifestyle blended with L’Hermitage Hotel glamour. 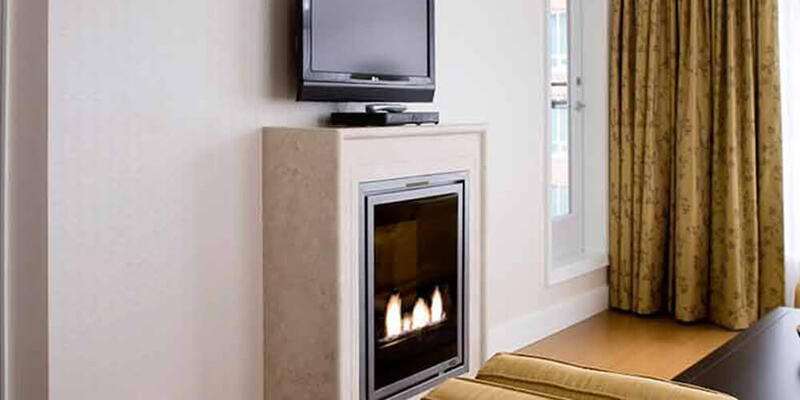 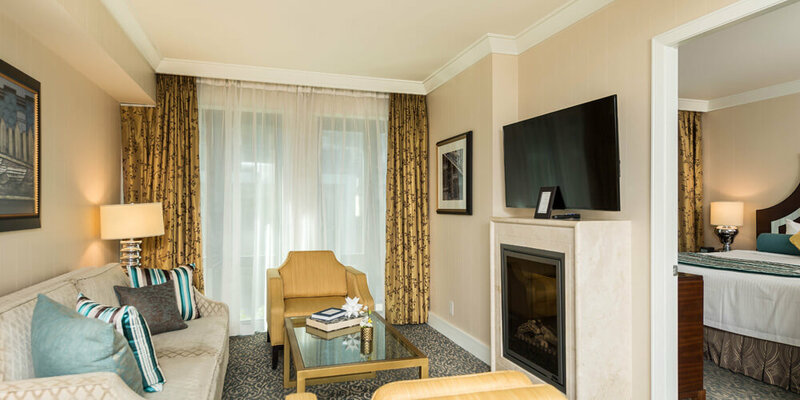 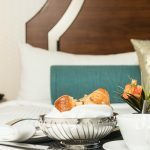 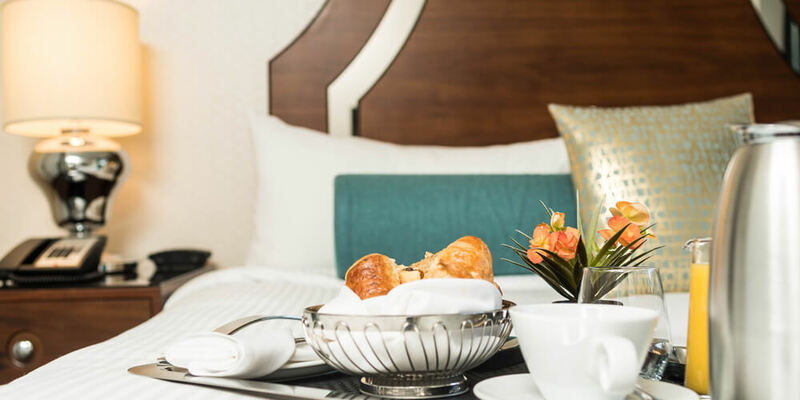 These suites showcase the very best of L’Hermitage Hotel lifestyle and offer a personal cozy fireplace, complimentary Nespresso coffee, complimentary wireless internet access and 48″ LED smart HDTV with Digital Satellite, featuring 299 TV channels. 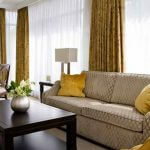 Our One Bedroom Boutique Suite can accommodate up to 2 adults and 2 Child under the age of 17 years old. 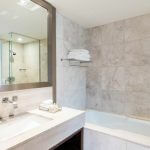 Heated salt water pool & Jacuzzi, fitness and steam room.